What is the Meaning of ACT UP? I couldn’t print the photos. My printer was acting up and kept printing everything crooked. I won’t go running this weekend. My knee is acting up again. “My son’s teacher phoned us. He has been acting up in class. 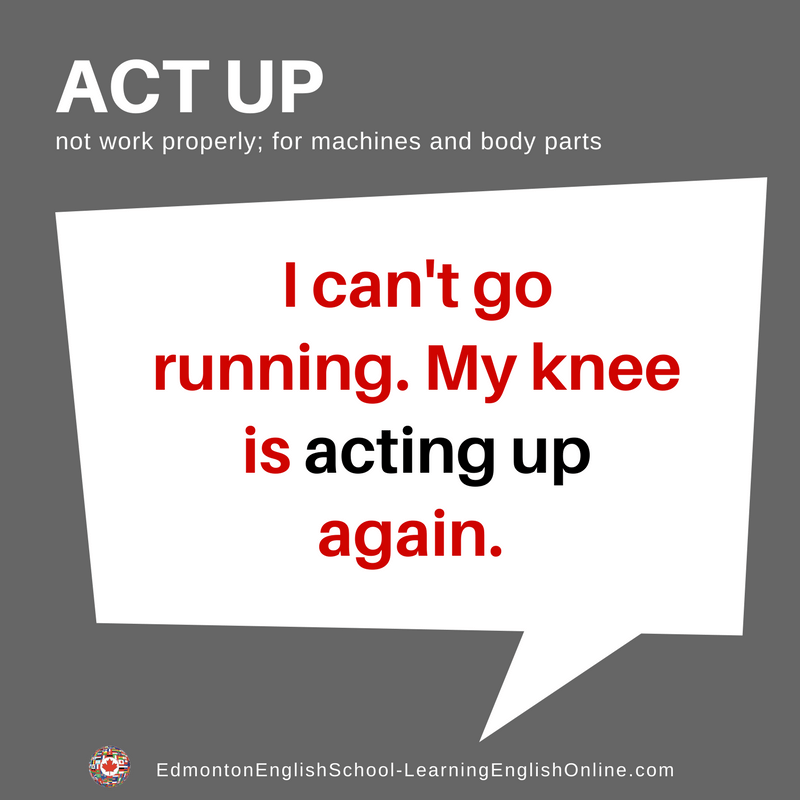 Note: This phrasal verb is often used with forms that take the present participle – which emphasizes activity.